I resized the Ikea Lampan to a more useable view. This table lamp is too small to be decorative, too complicated to be recolorable or slaved as well. Anyway, is easy and incognito, so is good for every occasion. 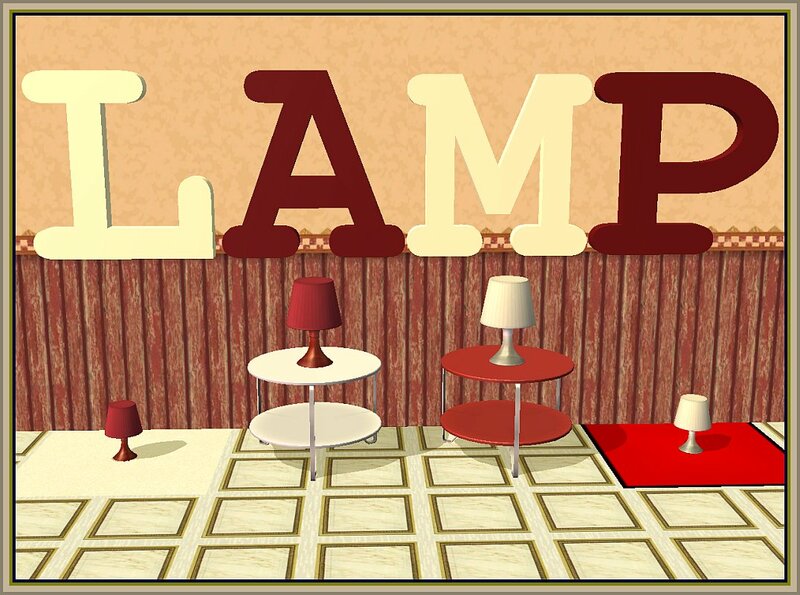 And I needed some easy lamps, not only to bind my shoes. So, here is a more suitable Lampan, in the "wonderful", well, white and red, right and straight. Located in lighting, costs insignificant 14 simoleans. 1194 polygons; exactly like the original.